“Microgrowing” may be defined as a method of cultivating greens, flowers, herbs and various other produce within an intensely controlled, indoor environment. Arkansas Natural Produce is a well-established provider of these products owned and operated by Jay Fulbright and his wife a few miles southwest of Malvern. Their 25-greenhouse operation is nestled in the Ouachita Mountain foothills tucked under surrounding bluffs with an idyllic babbling brook bordering the property. Fulbright took time from a busy cultivating and shipping schedule to chat with Food & Farm about the undertaking and some potential microgrowing benefits for the home gardener. It turns out ANP was featured on both “Cookin’ with Brook” and P. Allen Smith’s program, which explains my déjà vu as we wind down the road to hothouse row. Entering the 70,000-square-foot-under-roof, environmentally controlled gardens, I was greeted by lush rows of greens and flowers and the aroma of damp, rich earth. As we wandered between the leafy, multicolored plants, Fulbright shared some history. “We do salad mixes, microgreens and herbs year-round. Our customers are fine-dining restaurants, no chains or corporate clients. 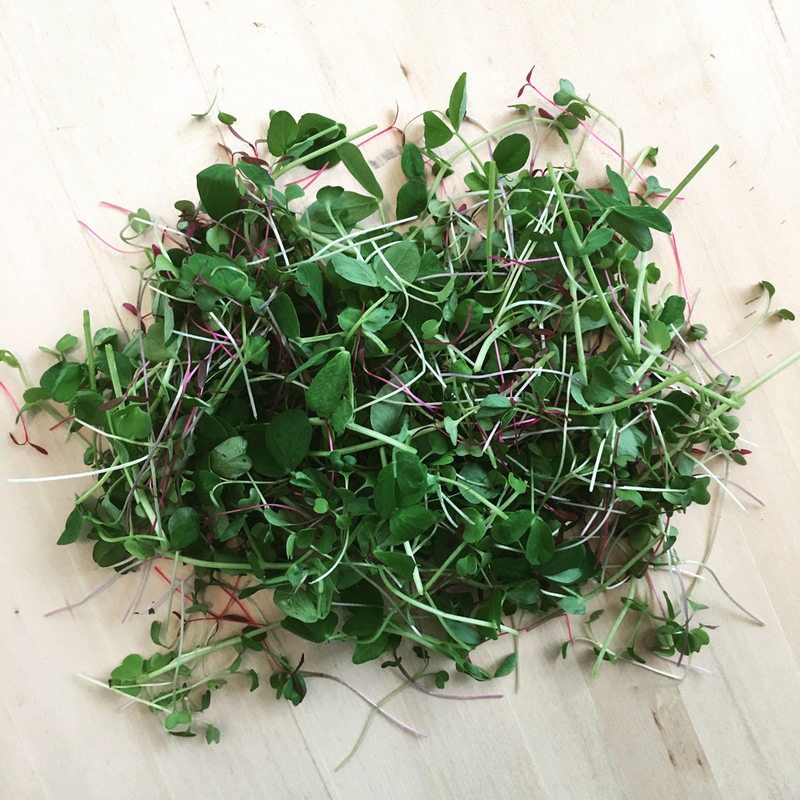 This microgreen mix can be used in salads, on sandwiches or cooked into omelets. “We started in Caddo Valley in 1988. We were mainly truck farmers then with just a couple of greenhouse nurseries for germinating seed in early spring. We started organic but didn’t have much market. We turned conventional for a while but I didn’t like it, so we changed back. We were primarily in the wholesale market selling to Ben E. Keith and Sysco distributors. That was a tough way to try and make a living, so around 1995 we switched gears and began selling direct to restaurants. “We’ve lost several houses to ice,” he said. The epic winter storm of 2000 exacted a heavy toll on them, collapsing several hothouses under the burden of accumulated ice. Fortunately, the roofs squatted only so far and the layer of frozen precipitation insulated the structures to the point that even without electricity to run the furnaces, the crops didn’t freeze. By “stooping to their task,” they continued harvesting and providing a large variety of greens to their forty-plus restaurant customers. To combat such future calamity, they now have a 60-kilowatt Generac, natural gas-fired generator in place to run the numerous fan-forced heaters that maintain temperature through the cold months. In the warmer season, 20-plus large fans accompanied by drip coolers, shade covers and irrigation help prevent indoor temperatures from skyrocketing beneath the blazing summer sun. “We follow all organic methods and utilize materials sourced through Organic Materials Review Institute. I’m not a fan of chemical modern agriculture. I believe we should be as synthetic-free and clean as possible. I don’t believe use of dicambia is defensible on any level.” Fulbright further explained, “We use no artificial light, so summer crops grow twice as fast as winter. If we have several consistently sunny days in the off-season, we’ll harvest a crop after 34 days as opposed to only 18 in summer. Asked what the future holds for ANC, Fulbright said, “I used to do everything here. At one time it was just the wife and I. Now we have three helpers. I’m 60 so we’re looking for someone to buy us out and take over. My advice to anyone looking to make a living in microgrowing is you have to love it. You won’t get rich but you can make a decent living. I also believe you need a committed partner.